Rapper and actor who gained fame as a member of the rap group Brand Nubian and released his debut solo album, The 5% Album, in 2006. He became known to TV audiences for his role as Supreme Allah on the prison series Oz. 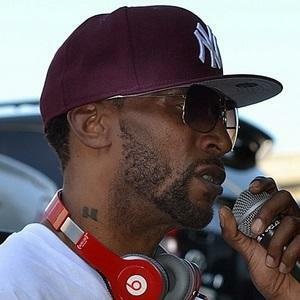 He is from New Rochelle, New York and founded Brand Nubian in 1989. He famously criticized John Brown an an episode of the VH1 reality series The (White) Rapper Show. His birth name is Lorenzo Dechalus. He married lawyer Dana Whitfield. He has done production work for trumpeter Tom Browne.